There is nothing like video to visually experience the services we offer. From marble floors to granite countertops, residential or commercial, take a moment to see how we can best serve you. Simply use our web-based form to tell us a little about your project at hand, and our expert installation crew will schedule an appointment to come to your home or office and prepare a no-obligation, free estimate. We are proud of our work in the New York and New Jersey area and love to document some of the projects so we can share them with our visitors and customers. See how we work in the field and learn more about the services we offer. Download our brochure and keep it on hand as a reference guide. It features all of the services we offer, what you can expect when working with us, and how our tailor-made maintenance programs can work for you. We make it a point to educate our customers. Download our Stone and Tile Care Guide and keep it on hand. It's full of care tips and recommendations to protect your investment, based on proven, sound information. You love your natural stone, but now its dulling. And there are a couple of chips here and there. You have two choices: Pay a lot to replace it, or pay a lot less to have it restored. The expert technicians at Stone Makeover can restore marble, granite, travertine and other types of natural stone to a like-new appearance. Whether it's your floors, countertops, vanity tops or shower walls, the beautiful thing about natural stone is how it can be professionally cleaned, repaired and restored back to what it looked like when it was first installed. At Stone Makeover, we service New Jersey and New Yrok with restoration services for your marble, granite or other natural stone, specializing in removing dull spots and discolorations, scratches, and even chips and cracks from interior and exterior stone surfaces. Remember, don't replace, restore. We also provide exceptional tile and grout repair, cleaning, sealing, and color sealing services. Dirt, grime, bacteria, allergens, and other contaminants can lodge deep down in porous grout lines. Our deep cleaning processes extract these unwanted substances, creating a much healthier living and working environment. Sealing grout lines helps inhibit stains, while color sealing grout lines gives your floor a fresh, new, uniform appearance, prevents stains, and provides numerous benefits that go beyond what you can see. We continuously educate our technicians on the latest technology, procedures, and products in order to offer the highest quality of care for your surfaces. 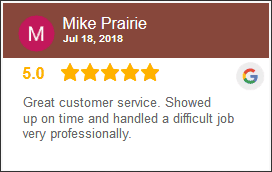 Years of experience perfecting our craft has allowed us to build a solid reputation with our customers and in the community. We encourage you to contact our clients as references. At Stone Makeover, we never cut corners. We guarantee fair and honest pricing for our services, and offer an up-front estimate so there are no surprises. We promise to be timely, stay on schedule and keep you informed if anything changes along the way. And when we are in your property, expect us to treat it as if it was our own. With exceptional customer service and a results-driven style of doing business, we can guarantee your complete satisfaction with any of our services.